Discerning food lovers are constantly seeking new tastes and culinary experiences from new and exciting sources. They are also seeking healthy foods as part of a growing awareness and interest in healthy lifestyles. Consumers who care so much about the quality of the food they eat are entitled to have absolute trust and confidence in the food they eat. Morocco Gold satisfies all of these requirements and much more. Morocco Gold is a superior quality, single estate Extra Virgin olive oil from an entirely new source for the UK market. The oil is made from olives grown in the foothills of the Atlas mountains. It is harvested and pressed early in the season when the fruit is young, with no mixing or blending with other oils across the season to maintain its fresh milled flavour. It is produced from the Picholine olive, characterised by its high concentrations of polyphenols that give it’s oxidative stability, distinctive fruity taste and health enhancing qualities. Moroccan Gold olives are grown using only natural, traditional methods. Nothing is added or taken away, so that the result is solely dependent on the soil, the sun, the rain and the time of harvest. Morocco Gold tastes great, with a green fruitiness, hints of sweet almonds, fresh turf and a hint of herbs. It has the distinctive ‘pepperiness’ of a fine extra virgin olive oil giving Morocco Gold a clean, well balanced finish. It not only tastes great by itself or dipped with bread, it has the wonderful ability to really draw out the taste of other foods when it is used in low temperature cooking or drizzled over dishes. High quality extra virgin olive oil is the original superfood. First press harvests of olive oil have been celebrated by growers for centuries, and the health benefits of this ‘liquid gold’ have long been recognised. It is however relatively recently that what makes extra virgin olive oils so good for you has really begun to be understood. Morocco Gold extra virgin olive oil is high in health enhancing polyphenols. In the unique micro-climate where Morocco Gold olive oil comes from, the dry periods cause the olive fruit to produce these polyphenols, to help moisture circulate around the olive tree itself. It is these same polyphenols that aid circulation around our own bodies. This is truly a natural lubricant for a healthy body. The UK is currently not a large consumer of olive oils. We in the UK consume a fraction of olive oil compared to our European neighbours, who have long appreciated life enhancing qualities of the Mediterranean diet of which good quality extra virgin olive oil is a cornerstone. In recent years, unusual weather and a proliferation of insects and bacterial blight have devastated the harvest in several of the major European olive oil producers. The well-established, traditional producers of olive oil such as Spain, Italy and Greece have had their outputs dramatically reduced with a corresponding impact on prices to UK consumers. In addition, a number of high profile prosecutions for fraud, particularly amongst Italian producers of olive oils has reduced consumer confidence in Extra Virgin Olive Oil products. These practices may well have been exacerbated by the impact of blight and adverse weather conditions in attempts to recover lost volume and value. The article showed that: “Some oils that failed tests may have been blended with cheaper oils. A government investigation to combat fake foods has found a third of olive oils sold in Britain are adulterated or breach quality standards. Food laboratory and olive oil experts tested 131 samples from olive oils sold in Britain in 2015 and 2016 including extra virgin olive oil, virgin olive oil and blended olive oil. The Rural Payments Agency (RPA), which commissioned the testing programme, revealed that 43 samples failed the tests and may have been adulterated”. Morocco Gold sets a new standard for authenticity, provenance, and the guarantee of extra virgin quality through our rigorous testing and traceability regimes. We work with certified growers, Morocco Gold is tested locally by ONSSA, (the National Office for the Sanitary Protection of Food Products in Morocco), then re-tested by our EU certified laboratory to guarantee extra virgin quality. 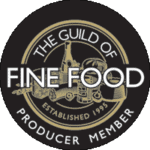 Our rear label information also sets a new standard for information about the oil itself, lot / batch / bottle numbering to give absolute re-assurance regarding authenticity, traceability, provenance and the guarantee of Extra Virgin Quality. Uniquely, we include the results of our testing on each and every bottle of Morocco Gold, so our customers can see at a glance the guarantee of extra virgin quality. When you purchase Morocco Gold extra virgin olive oil, you are guaranteed a wonderful tasting, health enhancing culinary experience. You will also recognise the quality of Morocco Gold when you first open the bottle and the fresh, floral, fruity aroma permeates the kitchen in a wonderful sensory experience. It is ‘liquid gold’ in every sense.